I've written before about the amazing benefits of a plant alkaloid called berberine. I even described berberine as "magical" thanks to its ability to help lower your cholesterol and keep blood sugar under control. Of course, berberine isn't magical; it's just powerful. But when I tell you what else researchers have discovered berberine can do, I think you'll understand why I couldn't help but describe it this way. In addition to helping with cholesterol and blood sugar, berberine has antimicrobial and antitumor properties. Plus, it can help regulate the immune system. On top of all that, a study recently published in Neuropsychiatric Disease and Treatment found that it could help prevent or slow the progression of Alzheimer's disease. You probably know that the formation of amyloid plaques in the brain is a contributing factor to Alzheimer's. It turns out that berberine may be able to help stop these plaques from forming as well as to limit neurofibrillary tangles between cells, another marker of Alzheimer's. The researchers believe that berberine likely does this by reducing oxidative stress and neuroinflammation in the brain. These beneficial effects also may be linked to berberine's ability to control glucose levels. And high glucose levels are a major contributor to Alzheimer's. 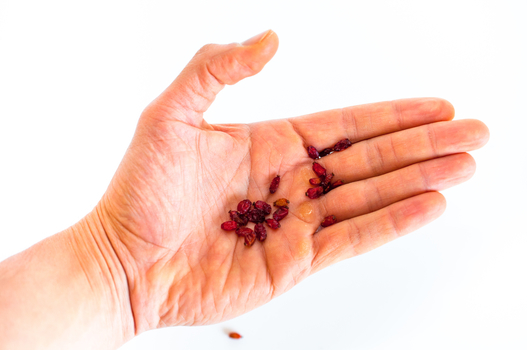 The researchers are planning to look further to determine if berberine is a viable treatment option for preventing or slowing the progression of Alzheimer's. I expect they'll likely get some good — if not downright magical — results. That's because berberine doesn't just protect your brain; it benefits your entire body. Berberine is included in Mediterranean Cholesterol Formula. I think this formula is a great supplement if you're concerned about your cholesterol levels. Or your blood sugar levels. Or your immune system. Or protecting your cognitive health as you age. Give it a try and let berberine show you just how powerful it can be.